← Target $25 Gift Card Giveaway! Happy Monday! And hooray for March! Anything that gets us one step closer to spring is awesome in my book. I am OVER the winter. One thing I do love about the cold weather, however, is a nice bowl of comfort. Something that takes the chill right out of your bones. And if it’s easy to make, even better. This dish is right up that alley. It’ll warm you up and make it just a bit easier to get through another wintery day. Oh, and sub whatever sausage you like…anything goes! Heat oil in a large pot/Dutch oven over medium heat. Add onion and saute for about 5 minutes. Raise heat to medium high and add sausage. Cook until lightly browned, then add garlic and cook another minute. 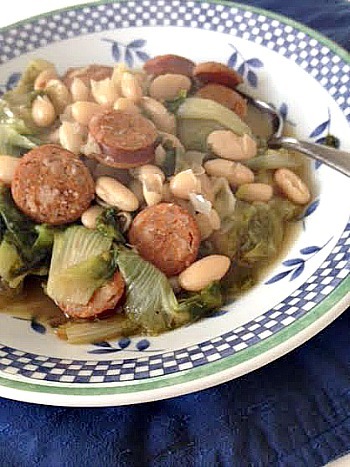 Stir in beans, then add escarole in bunches, turning to slightly wilt so it makes room for more. Add chicken broth and cover. Cook until beans are heated through, around 8 minutes. Season to taste with salt, cheese, vinegar and crushed red pepper, if desired. 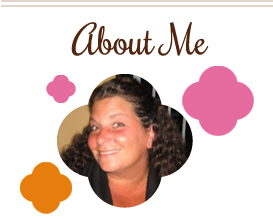 This entry was posted in beans, chicken, low carb, main dishes, pork, QuickAndEasy, soup, stew. Bookmark the permalink. Yum! Perfect for today’s snowy day!